Zach is a huge Spider-Man fan! He loves the films, loves to dress as him and even had a Spider-man themed birthday this year. Any Spider-Man themed gifts are definitely a winner in this house. Philips have a range of Spider-Man lights perfect for a child's bedroom. We were sent the Spider-man projector to try out. 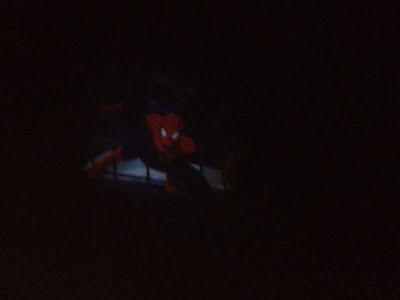 The Spider-man projector is both a nightlight and projector in one. It comes with three small discs containing different shots of Spider-Man in action. Your child can then project the images of Spider-Man onto the ceiling in a dark room. 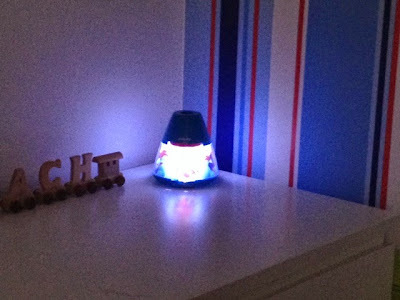 When they are done they can also switch it to the nightlight setting to give out a comforting glow. Zach loves being able to watch Spider-Man on his bedroom ceiling at night before I switch the nightlight on. The picture is fantastically clear and there are plenty of different pictures to look at on the three separate discs. 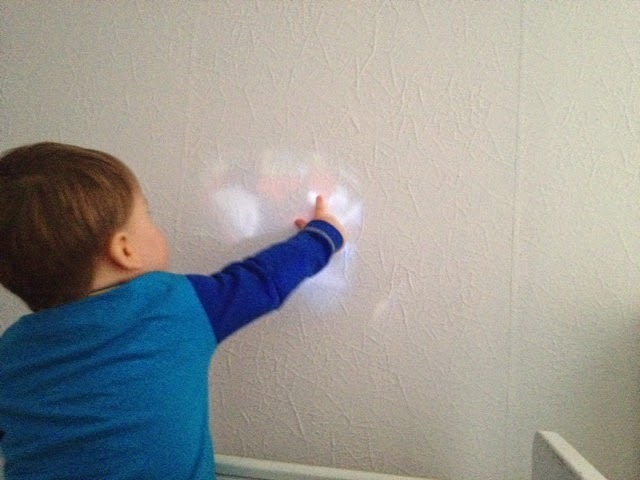 The whole projector is easy for a child to use independently. With a simple switch to change from nightlight to projector and the disc is easily turned by a child to change picture. 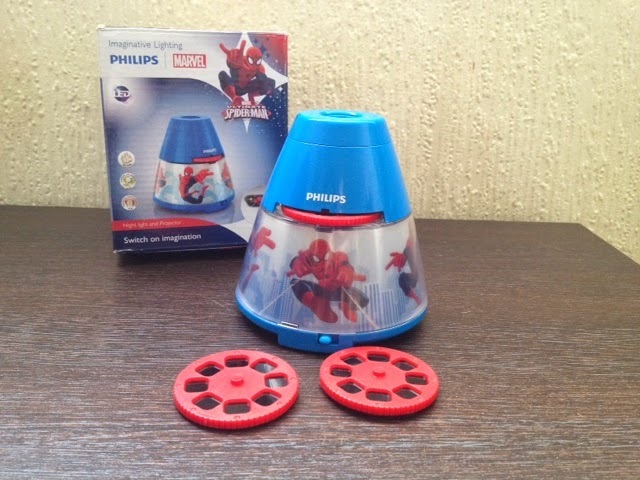 The Phillips Spiderman nighlight and projector would be a great addition to any little boys bedroom and I would say suitable from around 12 months as long as they are supervised. It is battery operated so no need to worry about loose wires around the room. It would be a great prop for making up Spiderman bedtime stories. As you can see it does still work in the daytime, it's just not quite as effective. Not that that bothers Zach at all, I regularly find him pointing it at the walls to try and catch Spiderman. I am so impressed with the Spiderman projector that I am on the hunt for the Frozen version for Gracie, although I haven't been lucky enough to find it in stock anywhere yet! You can buy the Spiderman nightlight and projector on Amazon here for just £19.99. We were sent the item featured free of charge for the purpose of this review but all opinions are my own.